Welcome home to this lovely, well cared for country living home on 10.34 +/- Acres. The great room is open to the kitchen and provides great space and flow for entertaining. 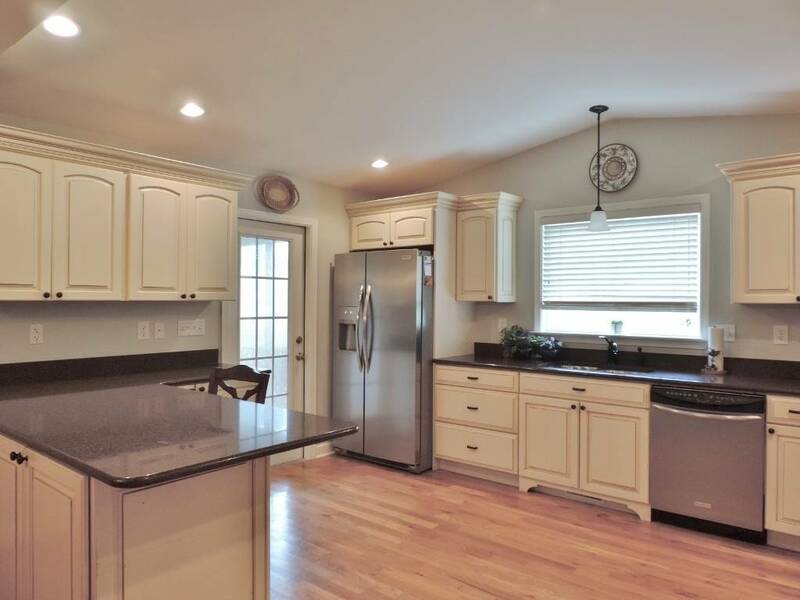 Hardwood floors run throughout the main areas of this home. The outstanding kitchen offers a vaulted ceiling, Kraftmaid cabinetry surrounded by silestone countertops. The laundry room is located just off of the kitchen and provides a laundry sink. 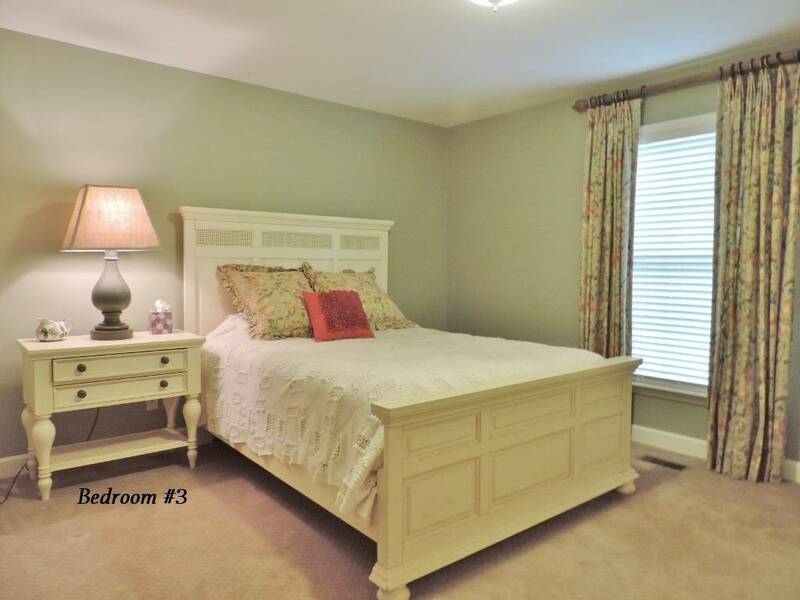 the two guest bedrooms that are 12x12 each and both have roomy closet space. The guest bath has a tub shower combo. The 15x17 master suite includes a walk in tile shower, a 9x10 walk in closet, and a vaulted ceiling. From the french door in the kitchen is the covered private screened in porch- This leads out onto the back deck and yard. In the back of this home a small gardening shed provides good storage and has an overhang for extra storage. The 40 x 80 barn was built by J Davis Construction. This includes a 24' shed off the back, 24' extension off one end, and a 12' extension off one end. This barn features: (8) 12x12 stalls, (1) 12x18 stall- all with swing doors & windows, fans, electric outlets in each stall for heated buckets. 12x12 wash rack with hot/cold water, utility tub. 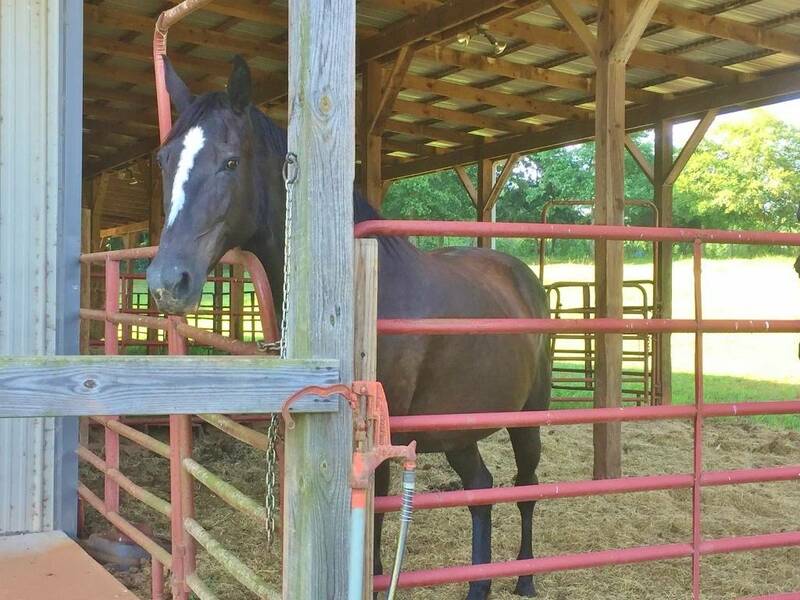 This barn also includes a Kitchen/bath/ laundry area with washer, dryer, sink, toilet, refrigerator, and cabinetry, a Feed Room, 12x12 Tack Room, 6 saddle racks w/ work bench, Front porch swing, 24' overhang for trailers & hay storage, 3 water hydrants. Fencing: High tensel electric wire, horse fence around complete perimeter of pastures. Gates divide /connect four pasture areas- Power controls in the tack room. The great room is open to the kitchen and provides great space and flow for entertaining. Hardwood floors run throughout the main areas of this home. The outstanding kitchen offers a vaulted ceiling, Kraftmaid cabinetry surrounded by silestone countertops. The laundry room is located just off of the kitchen and provides a laundry sink. 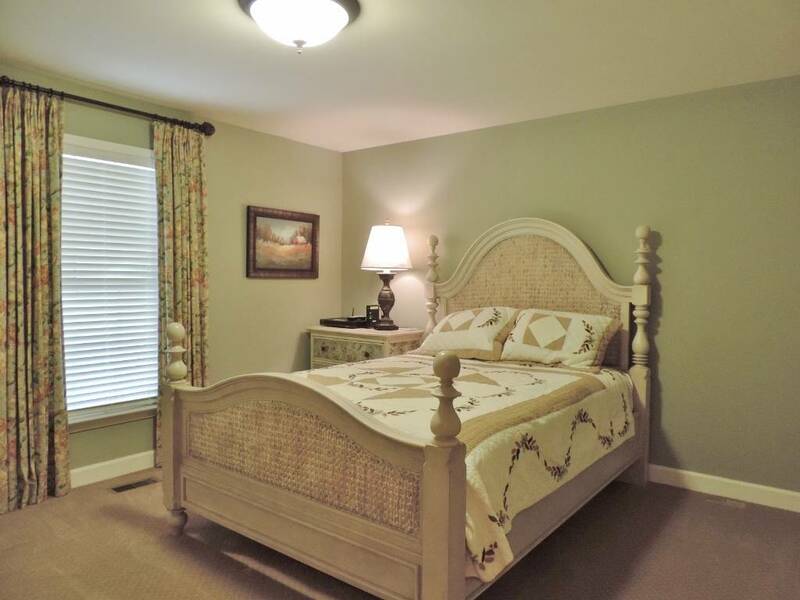 the two guest bedrooms that are 12x12 each and both have roomy closet space. The guest bath has a tub shower combo. 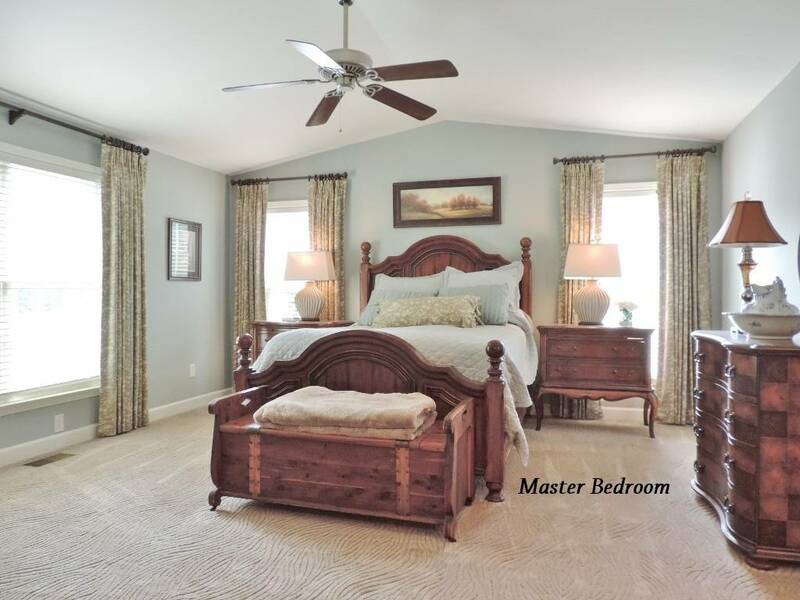 The 15x17 master suite includes a walk in tile shower, a 9x10 walk in closet, and a vaulted ceiling. From the french door in the kitchen is the covered private screened in porch- This leads out onto the back deck and yard. High tensel electric wire, horse fence around complete perimeter of pastures. Gates divide /connect four pasture areas. Gate at road for security. The barn features: (8) 12x12 stalls, (1) 12x18 stall- all with swing doors & windows, fans, electric outlets in each stall for heated buckets. 12x12 wash rack with hot/cold water, utility tub. 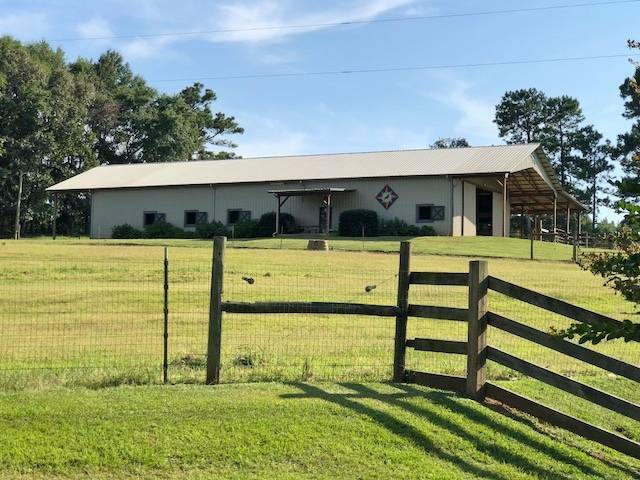 This barn also includes a Kitchen/bath/ laundry area with washer, dryer, sink, toilet, refrigerator, and cabinetry, a Feed Room, 12x12 Tack Room, 6 saddle racks w/ work bench, Front porch swing, 24' overhang for trailers & hay storage, 3 water hydrants. Fencing: High tensel electric wire, horse fence around complete perimeter of pastures. Gates divide /connect four pasture areas- Power controls in the tack room. 4,100 SF BARN, FENCED PASTURE, OVER 12 ACRES! KODAK, TN: 9.26+/- ACRES NEAR I-40 GREAT FOR AN ESTATE OR 32 UNIT TOWN HOMES. HORSE PROPERTY WITH 37+ ACRES THIS IS A GREAT PROPERTY CHECK OUT THE SLIDE SHOW. HORSE PROPERTY WITH 6+ ACRES AND A REAL LOG HOME, MOTIVATED SELLER CALL NOW! MAGNIFICENT HORSE PROPERTY WITH MAJESTIC MOUNTAIN VIEWS.